In this article, I will explain how to detect the current Cumulative Update / Service Pack installed on your SQL Server. You can use the ServerProperty as a system defined function to return the SQL Server Instance information like the ProductLevel and ProductUpdateLevel. 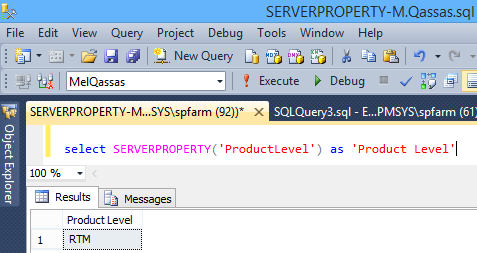 The ProductLevel returns the version level of the SQL Server instance as the following. The ProductUpdateLevel returns the update level of the current build as CUn where the CU=Cumulative Update. 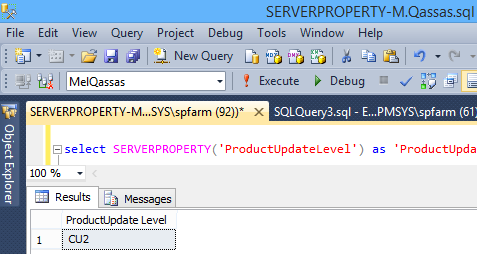 The ProductUpdateLevel is available in the SQL Server 2012 through current version in updates beginning from late 2015. Below, we will show how to detect the current Cumulative Update / Service Pack in case the current version doesn’t support the ProductUpdateLevel. Open SQL Server Management Studio > Connect to SQL Server. Right-click on Server Name > Properties. In “General” section, check the Version field number. From right side, open SQL Server Services. Right-click on SQL Server Instance name and select Properties. 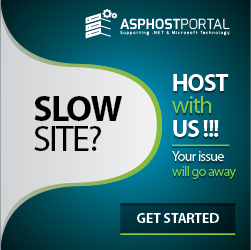 Click on Advanced Tab and scroll down to the version field number. You can use Windows PowerShell to invoke SQL command on a reachable server within the network using Invoke-Sqlcmd cmdlet as the following. No matter what method you have used to get the version number, you should now be able to detect the current Cumulative Update / Service Pack, as the following. Open SQL Server Build Number Table> Search for the copied version number, as shown below.